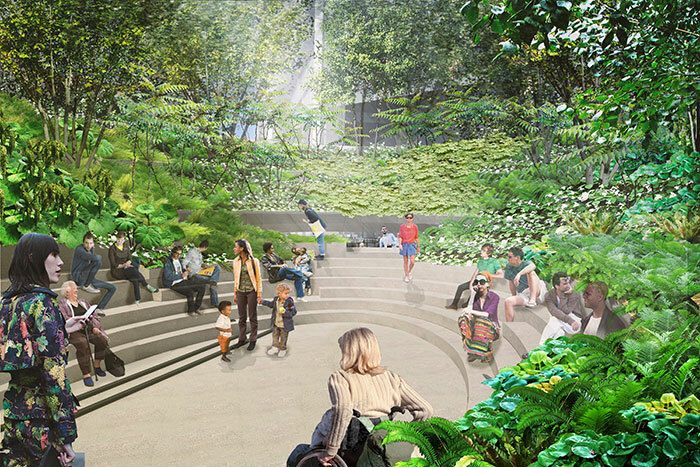 This week, Friends of the High Line revealed the design concept for the third and final section of the High Line with a tantalizing set of renderings from James Corner Field Operations and Diller Scofidio + Renfro. Beginning at the intersection of 10th Avenue and West 30th Street, the latest addition, known as the High Line at the Rail Yards, will wrap westward around Related Companies’ impending Hudson Yards mega-development before culminating on 34th Street between 11th and 12th Avenues. 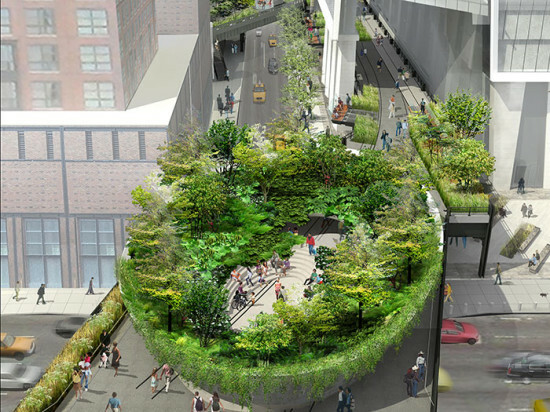 The highlight of Phase 3 is undoubtedly the large, tree-lined amphitheater that will float above the 10th Avenue and 30th Street. 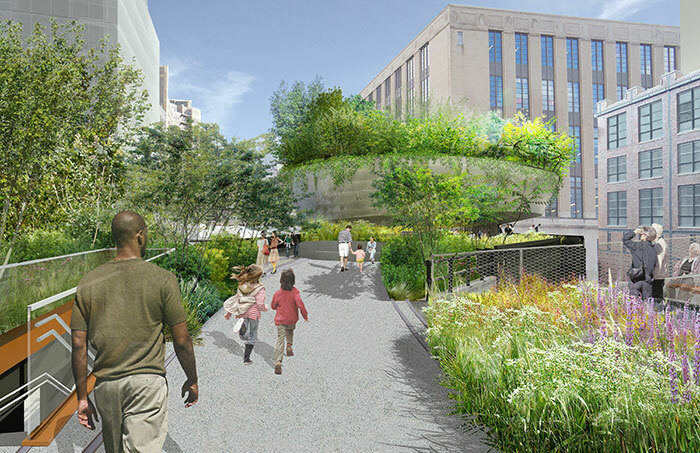 Dubbed the Spur, the lush, verdant bowl will offer an intimate, semi-enclosed seating area and public restrooms, while serving as a gateway to Hudson Yards and the High Line’s final stretch. 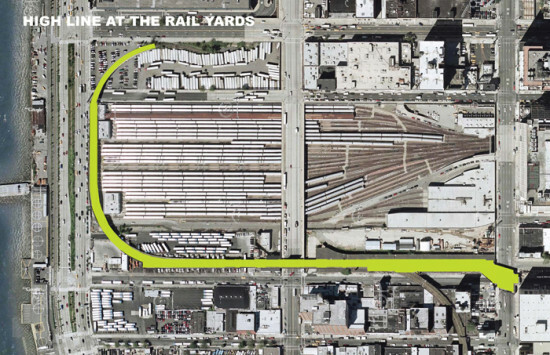 The whole project, estimated to cost $76 million, is scheduled to open to the public in late 2014, though according to the Friends of the High Line, we may have to wait another year or two for the Spur. Located at the widest section of the elevated park, the Spur will provide an immersive woodland environment just a few blocks from the heart of Midtown. Encircled by wood-be forest of Snakebark maples, black tupelo trees, ferns, perennials and woodland grasses, the space will contain tiered seating amidst a lush, urban wilderness. Combing skyward views of Hudson Yard’s forthcoming skyscrapers with James Corner’s signature naturalism, the Spur will offer what is sure to be a truly unique park experience. 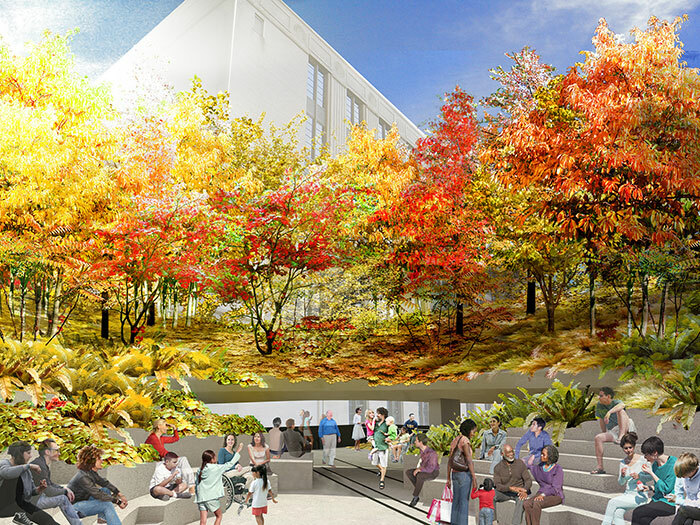 Friends of the Highline have committed to raise $36 million, culled form private donations, for the final stage of the the park. 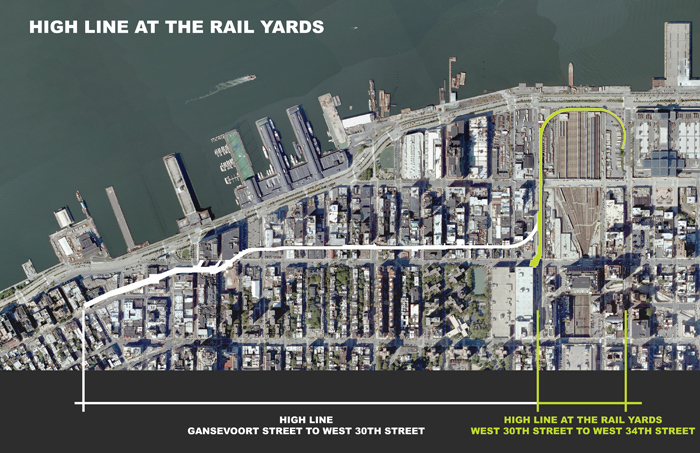 Related Companies and Oxford Properties Group, as part of their Hudson Yards development, are on board to contribute $29.2 million to the project’s construction and continued maintenance, while the Bloomberg administration and City Council allocated $11 million in capital funding.